The acclaimed shoegaze band represents dreams with their 1993 classic. Dreams are truly a fascinating part of life. They are essentially movies that occur in our brains as we sleep, and they can be a perplexing and unique feature in the world. Dreams can be philosophical excursions that can encourage us to change our lives in a significant manner, or they can be collections of abstract nonsense. Whatever a person encounters in their dreams, they are likely to be changed by it significantly. A person can go "What was that?" when they wake up in the morning, wondering what just happened in their head while they were resting. Dreams can be bizarre occurrences, and one album that has a dreamlike state is Slowdive's 1993 album 'Souvlaki'. Slowdive brought the mystifying qualities of dreams to life on that album. Much of the album is played in a sleepy, relaxed state that encourages the listener to fall off into the vast stratospheres that 'Souvlaki' creates. 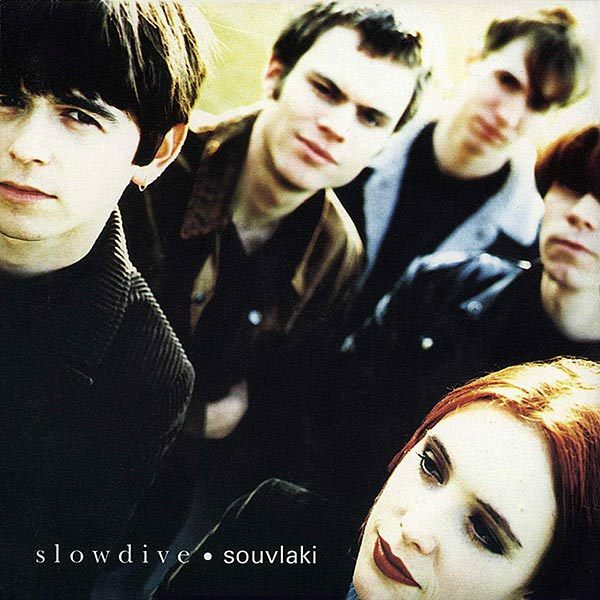 More often than not, Slowdive makes their music sound like a delicious tub of ice cream, as so much of 'Souvlaki' is lush and immensely pleasing. The album envelops you with a warm, oddly distant atmosphere that becomes comforting, and it forces you to consider what images went through your head as you were sleeping. 'Souvlaki' truly shows how music can inspire dreamy elements, and it makes you think about what a sound can do. 'Souvlaki' also presents an extremely interesting version of the guitar. Slowdive announce themselves to be masters of atmosphere, as they turn traditional instruments into textural forces that are full of wonder. The guitars transform into these gorgeous, heavenly messes of effects and reverb, and they feel like gorgeous dreams that are played in front of you. "Alison" and "Souvlaki Space Station" are notable examples of this, as guitars are turned into spectacular elements that induce fantastic illusions into their audience. 'Souvlaki' extracts as much grace as it can from the guitar, and its spellbinding usage of distortion lends a glamorous air that coats the music. Listening to 'Souvlaki' is a great way to escape the world itself. Whether it is the trembling waters that are found on the meditative "Here She Comes Now" or the enchanting mysteries of "Sing", Slowdive injects exceptional amounts of life into their music. The bright, breezy nature of 'Souvlaki' leads to an experience that is serene and gentle, as the waves of the music wash over you. 'Souvlaki' has a knack for bringing wonderful hues into life, and its absorbing sound brings a haunting quality that isn't too far removed from dreams, as well. 'Souvlaki' becomes a transcendent listen in and of itself, and its soothing qualities bring about an ornate personality that can only be found in dreams. 'Souvlaki' is truly a jewel to devour. It brings dreamy qualities into the world by having a windy aura to it that sounds dense and succulent. Slowdive takes a unique approach to the guitar by filling it up with incredibly imagery, as well as wrenching out beautiful sounds to consume. 'Souvlaki' can brighten up your life, and hearing it is bound to make you feel like you're in a dream. 'Souvlaki' is an excellent effort, and its otherworldly aura is always worth hearing.